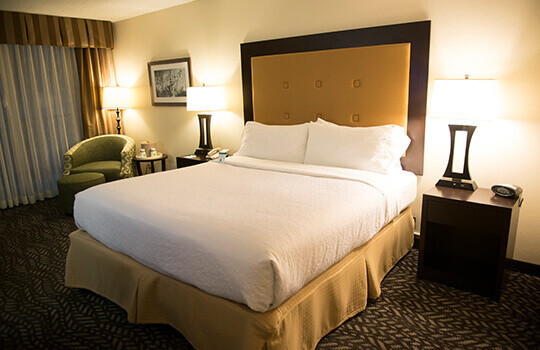 We've packed our guest rooms and suites with all the high-tech essentials, so you can sleep well and wake up refreshed and ready to take on the day. From suites with indoor balconies overlooking the atrium to king-bedded guest rooms, our hotel has your perfect space for R&R. 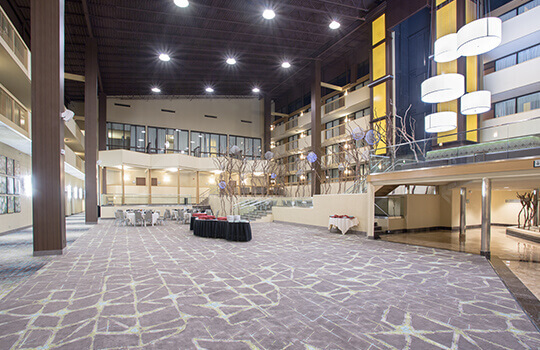 Relax and unwind in our spacious bi-level Atrium Suites featuring a balcony overlooking the hotel’s indoor atrium, a sleeping loft with a triple-sheeted king bed, and lower living area with a sofa, work desk and dining table. Our attractive Parlor Suites feature a living room with French doors leading to a spacious separate bedroom with a triple-sheeted king bed. Highlights include a comfortable sleeper sofa, dining table and work desk. Our contemporary King Suites feature a spacious sitting area with work desk, and a triple-sheeted king bed with stylish upholstered headboard. ADA accessible. 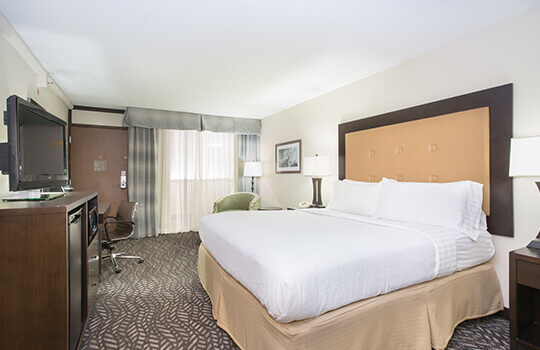 Comfort is key in our attractively furnished King Guest Rooms featuring a triple-sheeted king bed, sitting area and work desk. ADA accessible. 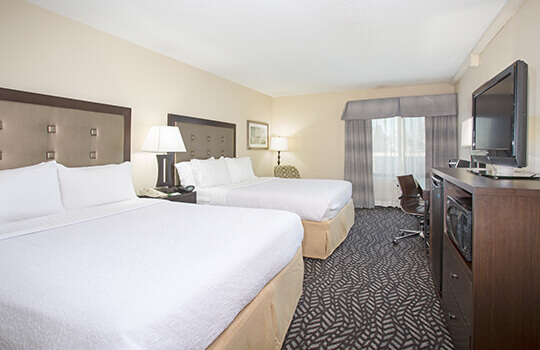 Ideal for families, our 2 Queen Guest Rooms pair comfort with style. Highlights include two triple-sheeted queen beds, a sitting area, and spacious work desk. ADA accessible. 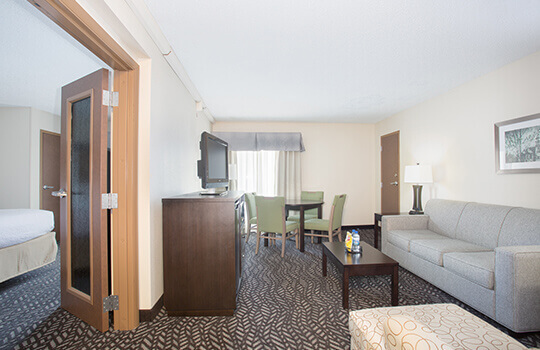 Furnished with one king or two queen beds, our Accessible Rooms accommodate guests with limited mobility and hearing. ADA features include roll-in showers, TTY telephone system, closed caption TVs, and other essentials.